The United States is facing a primary care physician shortage. Internal medicine (IM) primary care residency programs have expanded substantially in the past several decades, but there is a paucity of literature on their characteristics and graduate outcomes. 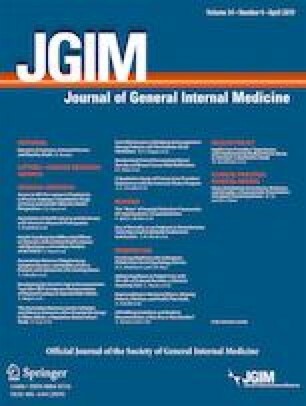 We aimed to characterize the current US IM primary care residency landscape, assess graduate outcomes, and identify unique programmatic or curricular factors that may be associated with a high proportion of graduates pursuing primary care careers. Seventy out of 100 (70%) IM primary care program directors completed the survey. Descriptive analyses of program characteristics, educational curricula, clinical training experiences, and graduate outcomes were performed. Bivariate and multivariate logistic regression analyses were used to determine the association between ≥ 50% of graduates in 2016 and 2017 entering a primary care career and program characteristics, educational curricula, and clinical training experiences. Over half of IM primary care program graduates in 2016 and 2017 pursued a primary care career upon residency graduation. The majority of program, curricular, and clinical training factors assessed were not associated with programs that have a majority of their graduates pursuing a primary care career path. However, programs with a majority of program graduates entering a primary care career were less likely to have X + Y scheduling compared to the other programs. IM primary care residency programs are generally succeeding in their mission in that the majority of graduates are heading into primary care careers. Dr. Wright is the Anne Gaines and G. Thomas Miller Professor of Medicine which is supported through the Johns Hopkins Center for Innovative Medicine. This work was presented at the Society of General Internal Medicine Annual Meeting in April 2018. Baicker K, Chandra A. Medicare spending, the physician workforce, and beneficiaries’ quality of care. Health Aff. 2004;23(SUPPL). https://doi.org/10.1377/hlthaff.W4.184. U.S. Department of Health and Human Services HR and SA. Projecting the Supply and Demand for Primary Care Practitioners Through 2020. Rockville, Maryland; 2013. https://bhw.hrsa.gov/sites/default/files/bhw/nchwa/projectingprimarycare.pdf. O’Rourke P, Tseng E, Levine R, Shalaby M, Wright S. The current State of US internal medicine primary care training. Am J Med. 2016. https://doi.org/10.1016/j.amjmed.2016.05.006. United States Census Bureau. Census Regions and Divisions of the United States. https://www2.census.gov/geo/pdfs/maps-data/maps/reference/us_regdiv.pdf. Accessed May 16, 2018. Perez JC, Brickner PW, Ramis CM. Preparing physicians for careers in primary care internal medicine: 17 years of residency experience. Bull N Y Acad Med. 1997;74(1):20–30. http://www.ncbi.nlm.nih.gov/pubmed/9210999%0A http://www.pubmedcentral.nih.gov/articlerender.fcgi?artid=PMC2359253. Stepczynski J, Holt SR, Ellman MS, Tobin D, Doolittle BR. Factors affecting resident satisfaction in continuity clinic—a systematic review. J Gen Intern Med. 2018. https://doi.org/10.1007/s11606-018-4469-8.